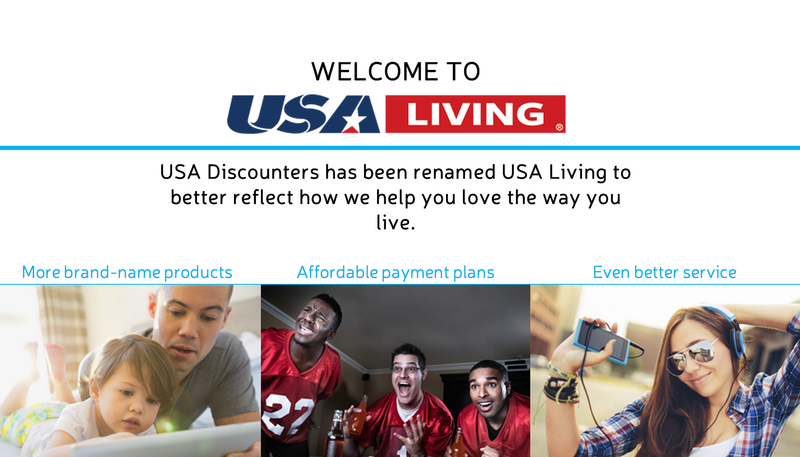 USA Discounters is now USA Living, but it’s still charging too much for its products and still suing soldiers with out-of-state addresses. In July, we told you about USA Discounters, a retailer that took advantage of underpaid soldiers with no credit histories to charge them exorbitant financing fees and then sue them when they couldn’t pay up. Now USA Discounters has changed its name and is promising to change its ways, but it’s really just another case of putting a wig on a pig. This is according to ProPublica’s Paul Kiel, who did the initial investigation into USA Discounters’ shady operations. Now the retailer is known as USA Living, because, as company rep admitted to ProPublica, it’s “not a discount store.” After all, discount stores wouldn’t charge $699 for an Apple iPad Mini you could get for about half that price. The company still offers financing services for its merchandise, and still advertises that military shoppers are “always approved” for said financing. And though the newly renamed stores will continue to charge too much for furniture, electronics, and appliances, it will apparently change some of the ways in which it goes about collecting debts. One of the big problems with the way USA Discounters went after allegedly delinquent customers was to sue them in one of two local courts in Virginia, regardless of where they purchased the items with store credit or where the customer lived. This was especially hard for many military servicemembers, who could be thousands of miles away and without the time and/or resources to travel to Virginia to represent themselves. This often resulted in painless default judgements for the retailer, which would then garnish the customer’s pay. According to ProPublica, USA Discounters garnished more active-duty servicemembers’ pay than any other U.S. company. The Fair Debt Collection Practices Act forbids third-party debt collectors from suing in courts that are remotely located to the defendant, but that law does not apply to businesses doing collections on their own behalf. The retailer still plans to sue in the same Virginia courts, but promises it will inform borrowers of an option to be sued in a court closer to where they live. This disclosure will be made to new borrowers when they apply for credit, and again if they are later the subject of a lawsuit. It’s a slight improvement, but it doesn’t impress consumer advocates. “They’re still planning to sue consumers in Virginia even though most consumers have no contact or connection with Virginia,” says Carolyn Carter, director of advocacy at the National Consumer Law Center. And it doesn’t appear to be having much of an effect on USA Living’s lawsuit-happy ways. ProPublica reports that the retailer has filed 28 lawsuits in a single Virginia court in just the last two weeks; only one defendant had an address in the state. All other defendants had addresses either on or near military installations around the country. In August, the Consumer Financial Protection Bureau caught USA Discounters charging servicemembers a $5 fee that went to a company called SCRA Specialist LLC, which would supposedly act as the customer’s representative with respect to their rights under the Servicemembers Civil Relief Act, should they be sued for a debt. USA Discounters portrayed SCRA Specialists as an independent business, when the company’s only source of revenue was from USA Discounters’ customers. Additionally, USA Discounters sold SCRA’s services as a benefit to servicemembers, when in actuality, they only served as tool for the company to more easily sue the servicemembers. One function of SCRA Specialist was to verify the servicemember’s active military status so that the servicemember could receive certain protections; an aspect touted as a benefit for the consumer. However, USA Discounters used that information to report on the servicemember’s military status in order to obtain a default judgment against the servicemember. USA Discounters was ordered to pay $350,000 in restitution to servicemembers for the $5 SCRA Specialist fee and a $50,000 penalty to the CFPB’s Civil Penalty Fund. Additionally, the company can no longer market contracts as a benefit to servicemembers and can not pretend to that SCRA Services is an independent company.